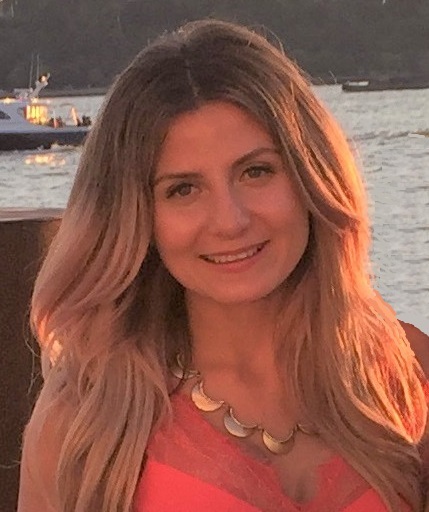 Obituary for Racheal Durski | Shore Point Funeral Home and Cremation Services, Inc.
Racheal Durski, 38 of Jersey City, New Jersey passed away peacefully at home surrounded by her loving family on October 24, 2018. Racheal was born on February 28, 1980 in Perth Amboy, New Jersey. She graduated from East Brunswick Vocational Technical High School in East Brunswick, at which time she lived in Helmetta, New Jersey. She was the proprietor of Aire Salon in Jersey City, New Jersey. Racheal was predeceased by her grandparents Elizabeth and Edward Durski, Frank Clementi, Rosetta Giacomozzi and her uncle Joseph Clementi. She is survived by her partner Terry Cheung, her beloved daughter Elizabeth Cheung, her loving parents Martin D. Durski and his wife Jo-Ann of Jackson, New Jersey, Deborah Clementi Fortner and her husband Robert of Freeville, New York, her dear brother Richard Thomas Clementi and his wife Amanda, her loving uncle and God Father Robert Durski and his wife Patricia, dear aunts and uncles Edward Durski and his wife Kathleen, Frank Clementi, Patricia Clementi and her husband Harry, Dora Auld, Ann Giacomozzi, and her dear sisters and brother in law, Tinny Cheung and her wife Jenna, Timothy Cheung and his wife Winnie, and Tiffany Cheung. She will be dearly missed, but never forgotten. Family and friends are invited to visit on Friday October 26, 2018 from 2:00 to 4:00 and 7:00 to 9:00 PM and Saturday October 27, 2018 from 9:45 to 10:30 AM. A prayer service will take place at the funeral home Saturday 10:00 AM. Interment will follow at Sacred Heart Cemetery in Sayreville, New Jersey. For information, directions, or to send condolences to the family, please visit, www.shorepointfh.com.